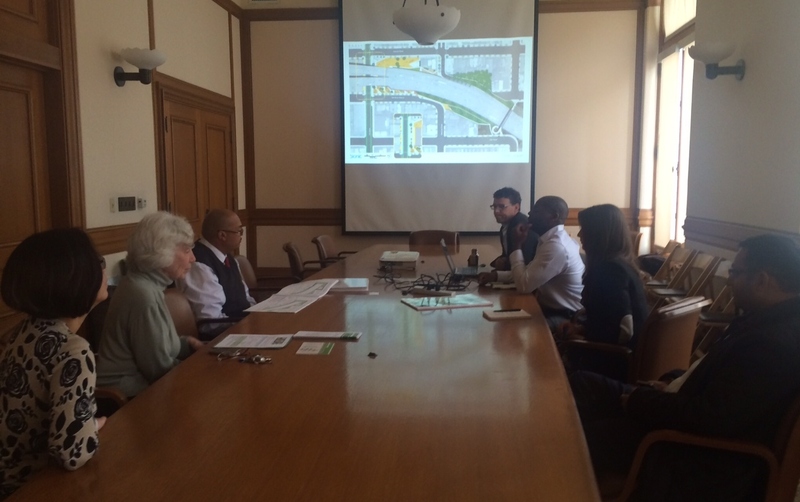 On Tuesday, 4/1 , the Loop team, Sarah and Marcel from Bionic and Maria, Umesh, Dianne and Jean from the Loop Steering Committee met with Mohammed Nuru, DPW and Mawuli Tugbenyoh, D10 Supervisors Office, at a meeting called by Supervisor Cohen. Marcel presented the Loop plan at the beginning of the meeting. The discussion that followed focused on DPW helping the Loop project secure multiple encroachment permits to start the project. Mohammed said DPW would support the project and by Friday of the same week, a DPW project manager, Kelli Burdick, had been selected. Next steps will be meeting with Caltrans representatives.